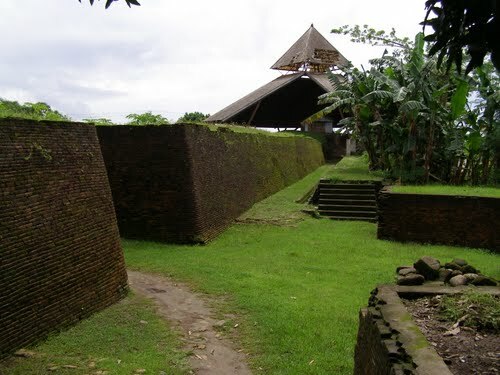 Somba Opu was built in 1525 by the Sultan of Gowa IX, Daeng Matanre Karaeng Tumapa'risi' Kallonna. The fort is a port and trading center for spicea that been visited by traders from Asia and Europe. In 1669, the fort was occupied by the VOC then destroyed until submerged by a tidal wave. In the 1980s, the fort was rediscovered by a number of scientists are. And in 1990, the fort was reconstructed so that it looks better. Now, Somba Opu became a historic sights in the city of Makassar in which there are several custom home building representing South Sulawesi tribes: Bugis, Makassar, Mandar, and Toraja. This fort is located in Jalan Daeng Tata, Benteng Somba Opu sub-district, Barombong district, Gowa regency, South Sulawesi. This place also has cannon with a length of 9 meters and weighing about 9,500 kilograms, and there is a museum containing historical objects of the Sultanate of Gowa. Believe it or notm this building was built by clay and egg whites instead of cement. This sturdy fortress is in rectangular shape, with a length for about 2 kilometers, and it has 7-8 meters high, and it covers approximately 1,500 hectares. The entire building is being fenced with thick walls.